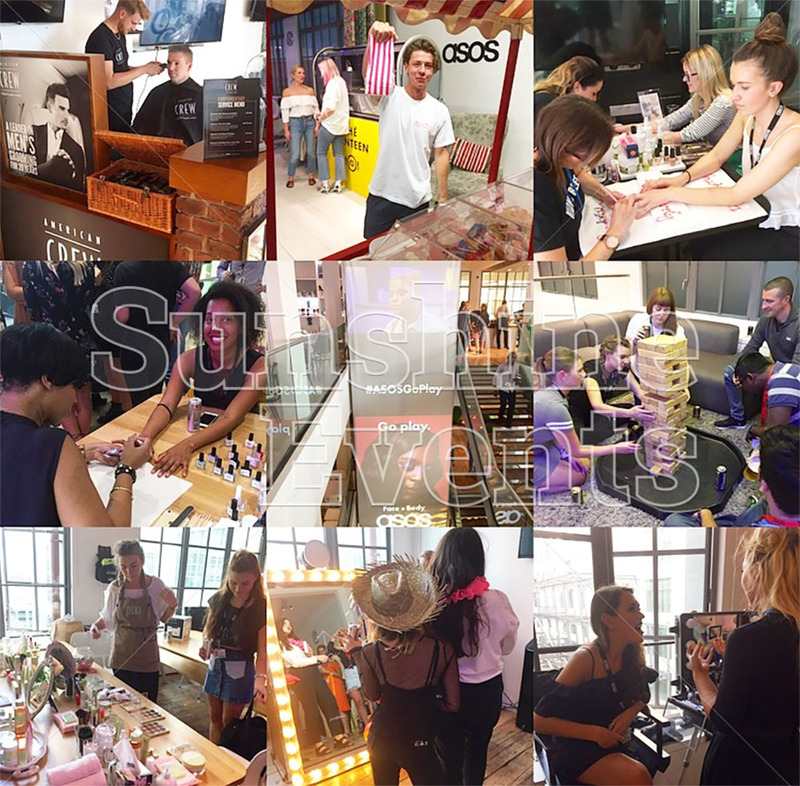 Sunshine Events had the pleasure of working with the global young fashion chain ASOS on a monthly fun staff event at their modern Head Office in Kings Cross, London. The main aim of ASOS’s monthly team-building days is to create a feel-good atmosphere and strong sense of community for all their Head Office staff. This ethos is a very important part of the forward-thinking company’s culture. The theme of the proposed social event was ‘GO PLAY’ and the ASOS Events Team wanted all activities and food for the day to fit in with the ‘playful’ theme. The main aim of the event was encourage their people to feel that it's fun to work for ASOS and to create a strong sense of being part of the ASOS family - (as well as being an excellent opportunity to just socialise and relax!). The ASOS Events Team wanted to utilise Giant Games, as well as Pick & Mix and Popcorn Carts to fulfil their chosen theme - and after a search online, found that Sunshine Events provided everything they were looking for - and all under one roof! This made organisation of the day so much easier for the busy team. And because they were able to work closely with just one company - from the initial brief and quote, right through to the organisation of the logistics and its final execution, they found their event booking was hassle-free. Also, the two companies had Corporate Social Responsibility at their core, so the partnership was a perfect match! The Fun Experts were onsite for the whole day to man the Traditional Side Stalls and encourage everyone to have fun playing with the Giant Connect 4, Giant Jenga and Giant Noughts and Crosses. An amazing 1000 portions of Pick and Mix sweets and the same of Popcorn were served to happy customers throughout the day! In an ASOS staff survey after their fun experience - 83% of the staff stated that they felt excited, positive, happy or energised while at the event! Emma has already rebooked Sunshine Events for another socialising day with a circus theme, including a special Circus Skills workshop! And because they had such amazing feedback on the Pick and Mix Cart, they have re-booked it for their next event too! Because Sunshine Events offers such a different array of themes and products, the options for ASOS fun day themes are endless! Need help with entertainment for your Corporate Fun Day?